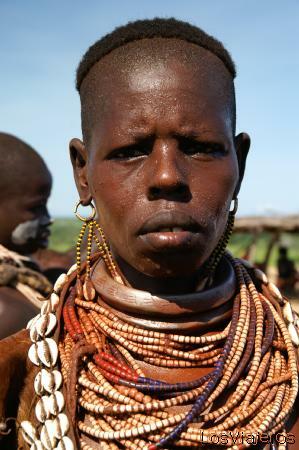 Karo woman - Murille - Omo Valley - Ethiopia: Karo tribe are on the southern area of Mago National Park. They are mainly farmers. Karo woman - Omo Valley - Ethiopia "Index"